One year ago, George Zimmerman shot and killed 17 year-old Trayvon Martin because he thought the young man looked suspicious. And one year later, what happened that night in Sanford, Florida still outrages us. In a culture that inundates us with images of Black men as violent – not to be trusted, inherently criminal – we are continually reminded that something as simple as walking home from the corner store can draw unwanted attention that puts our very lives in danger. Black Americans face racial animosity every day, and far too often that animosity turns violent. Today as we mourn, we must also acknowledge that if it weren’t for the hundreds of thousands of you who spoke up to demand basic dignity and justice, Trayvon Martin’s case would have been ignored – and George Zimmerman would have gone free. As our membership grows in number, so does our power to fight injustice. Please inspire others to join the fight by sharing this video with your friends and family. The movement that came together to demand justice for Trayvon demonstrates the power of our collective voice. 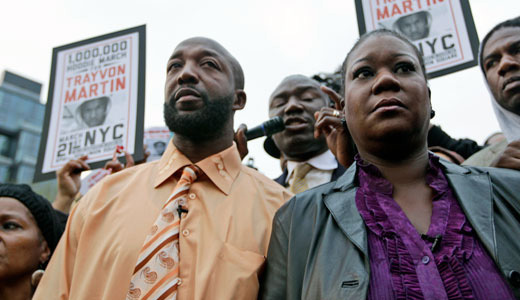 It’s thanks to the pressure from more than 200,000 ColorOfChange members, the work of our allies and tireless advocacy of Sybrina Fulton and Tracy Martin that George Zimmerman will answer in a court of law for killing Trayvon Martin. ColorOfChange fights racial injustice and the danger it presents to our basic safety. We organize campaigns against racially-motivated police practices like the NYPD’s Stop and Frisk. And we’re working to stop the American Legislative Exchange Council (ALEC), which pushed the “Shoot First” laws Zimmerman is using to claim his actions were justified. Our power comes from you, our members – courageous individuals from all walks of life who make bold demands and achieve important social change. Watch our powerful video about the campaign to demand justice for Trayvon Martin. Pledge to grow the movement to change our culture’s treatment of Black youth by sharing this video with your friends and family. Encourage them to join the fight. 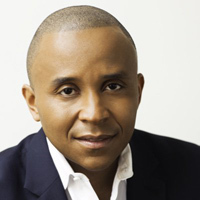 Rashad Robinson is President of Color Of Change, a leading online racial justice organization.